Howdy. We are Paper Meets Press, a custom letterpress printing shop headquartered in Glenside, Pennsylvania — just outside Philadelphia. 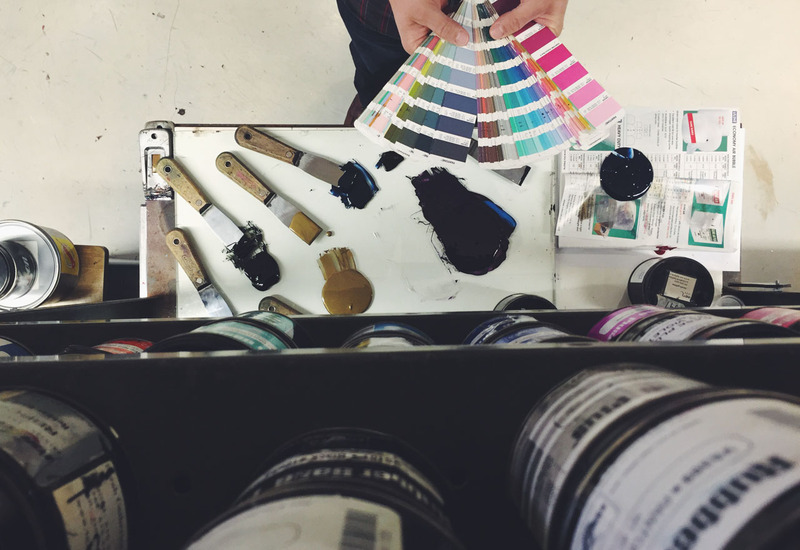 For years, we’ve been marrying ink to paper for invitations, business cards, stationery, prints and announcements, and pretty much anything else our clients can come up with. Letterpress is our passion, and bringing ideas to life beautifully, artfully, and with craft is what makes our work days feel a lot less like work, and more like a good time. Our shop can do it all. If you need letterpress printing, embossing, foil stamping, duplexing, edge painting, and die cutting, we make it happen. Right here. Well, not right here on this website — but right here, meaning our shop. You get it. From the start, we handle your completed files and take them all the way to the final stages of cutting and trimming. About the only things we don’t do is set wood or metal type. If you’re interested in a quote or just want to say hi, pop over to our contact page. If you have questions, have a look at our FAQ page. We are currently not hiring at this time, but don’t let that stop you from getting in touch or stopping by to chat. We are always looking for interns. If interested, fill out the contact form. Visitors are always welcome. If you are in the area, swing by!